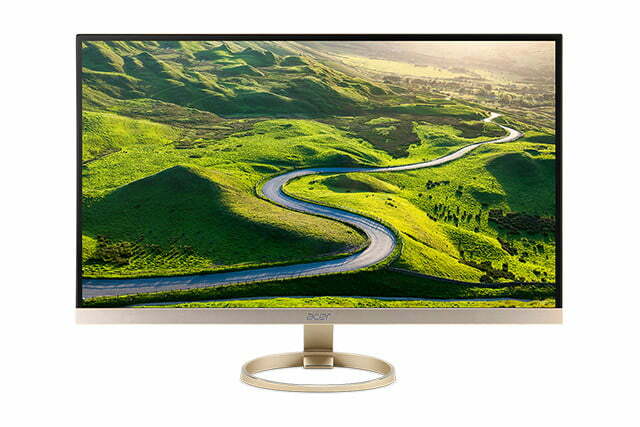 Acer brings H277HU USB Type-C monitor to the U.S. 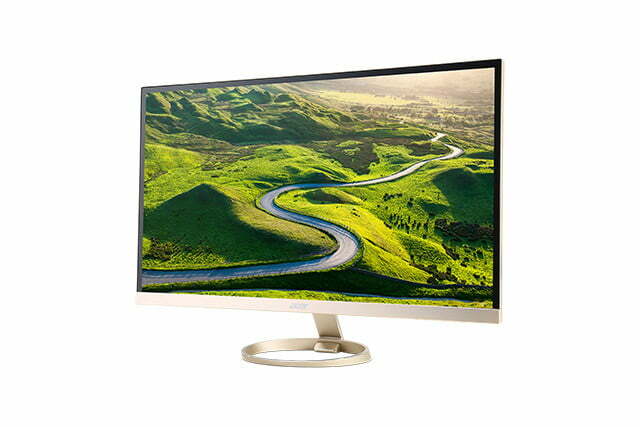 If you’re looking for a new monitor that supports the increasingly popular USB Type-C connector, there’s now a little more choice available, as Acer has just introduced its H277HU to the American market. Bringing with it support for the new USB standard, as well as other connectivity options and a 27-inch 1,440 panel, there’s plenty about it to recommend. As well as being high resolution (2,560 x 1,440), the panel supports a 100,000,000:1 contrast ratio, with a four millisecond response time, so it will be more than capable for the gamers out there. Combined with a brightness of 350 cd/m2 and more than 16.7 million colors, the palette of the new Acer display is deep and broad. Despite being quite a large display, the H277HU does not have much of a footprint. It features an impressively thin, 0.4-inch “hairline aluminium” front bezel and frame, making it great for multi-monitor setups too. Connectivity-wise it of course sports the USB 3.1 Type-C connector, but there are more typical ports too. HDMI 2.0 and DisplayPort 1.2 are available, right alongside a traditional DVI connector and a pair of USB 3.1 Type-A ports. There’s even a pair of speakers integrated into the slim frame, offering three watts of power on each side, as well as support for DTS Sound and Acer TrueHarmony. Additionally there are Acer technologies that this display comes part and parcel with, including EyeProtect to eliminate any flicker and tone down blue light to make things easier on your eyes over longer periods. There’s even an automated dimming technology to match the brightness and contrast of the display with the time of day, to make sure you aren’t bleaching your retinas as the sun goes down. 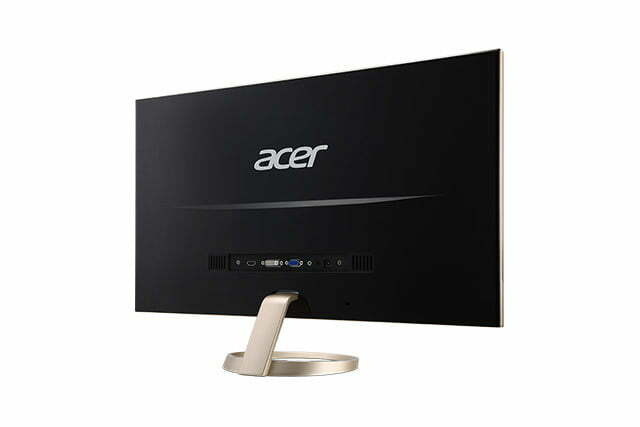 The Acer H277HU is already available at a number of U.S. retailers, priced at just under $500. What do you think about the new Acer offering? 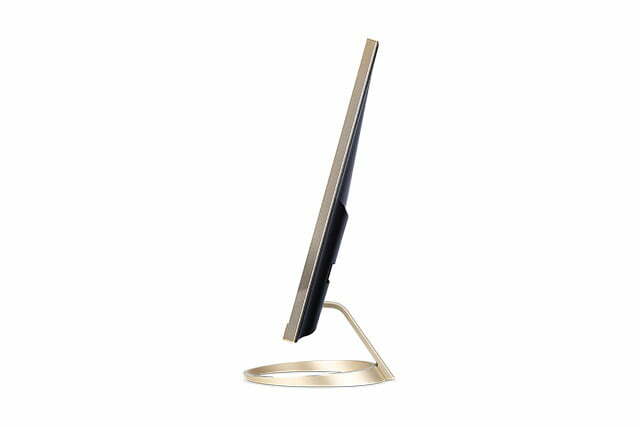 Could it be your next monitor of choice?